Originally published by the Fellowship of Reconciliation in 1958, The Montgomery Story was a comic book that dealt explicitly with Dr. King’s philosophy of non-violent civil disobedience, specifically with respect to the legendary Montgomery Bus Boycott. The book included a how-to section that demonstrated how the practice can actually yield results. According to FOR’s website, The Montgomery Story sold more than 250,000 copies. Dalia Ziada is Egypt Director of the American Islamic Congress, a non-profit group founded in the wake of the terrorist attacks of September 11, 2001 to confront intolerance against Muslims, and later to promote peace and civil rights throughout the Arabic world. The AIC’s HAMSA initiative—designed to link civil rights groups throughout the Middle East—undertook in 2008 a project to translate The Montgomery Story into Arabic (and later Farsi). With the endorsement of the Fellowship of Reconciliation, Ziada distributed 2,000 copies of the comic throughout the Middle East. 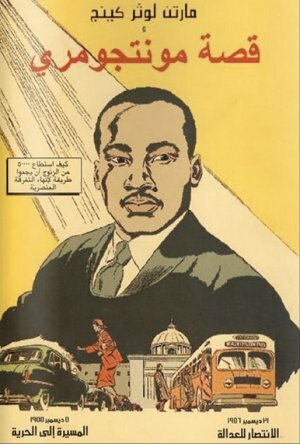 Tags: Art, Civil rights, Gandhi, Literature, Martin Luther King, Jr.
Good, MLK comic finds new life in Egypt / Waging Nonviolence – People-Powered News and Analysis.